Spend four days exploring the mighty Torres del Paine National Park whilst staying in a luxury camp, where every detail has been taken care of for you so you can admire the magnificent and wild nature of this region. Day 1: Punta Arenas to Torres del Paine. Day 2 & 3: Torres del Paine activities included. Day 4: Torres del Paine – El Calafate. 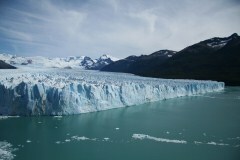 Day 5: Perito Moreno glacier tour & Nautical Safari. Day 6: El Calafate departure transfer. 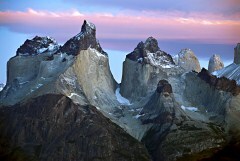 Add on a side trip to the trekking mecca of El Chalten with its spectacular mountains. 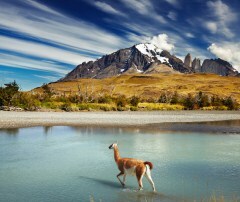 If you are after something more active then consider taking on the iconic W Trek in Torres del Paine National Park. Consult us for our range of options. 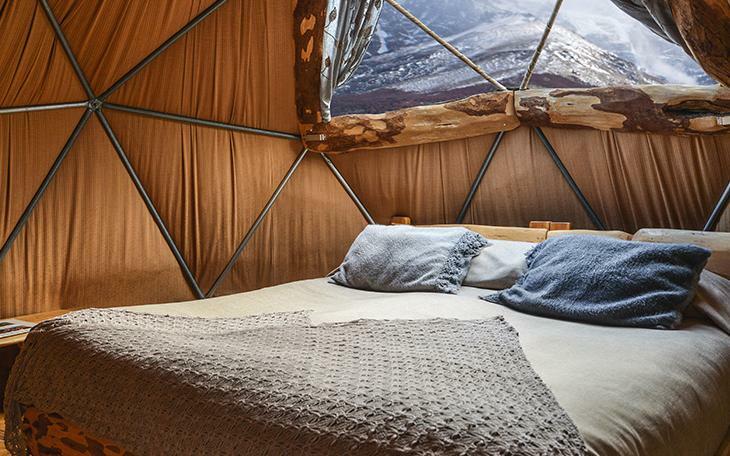 From the airport or your hotel in Punta Arenas you’ll be transferred to your luxury tented lodge in Torres del Paine National Park, where you’ll spend the next four days immersing yourself in the extraordinary natural landscapes of Patagonia. Along the way we pass through the Patagonian steppe, a wide, open, vast territory, before arriving to the lodge in the afternoon. The remainder of the day is at your leisure to explore the spectacular surroundings of your lodge before enjoying a fine barbecue dinner. Enjoy the next two days with excursions of Torres del Paine that offer some of the most important viewpoints and attractions of this world famous national park. Your stay includes all meals and activities with several walking excursions available, including Torres Base, Laguna Azul, Lake Grey and several others. The walks are suitable for walkers of varying levels and there are also many other activities such as mountain biking, kayaking, canoeing, horse riding and fishing. After breakfast you will travel across the border into Argentina to El Calafate where you will spend the next two nights. El Calafate is located on Lake Argentino, a green glacial lake covering over 1,600 sqkm. Your afternoon and evening are at your leisure to explore the town, where we recommend trying the Patagonian lamb at one of the local restaurants. After breakfast you will be picked up from your hotel for your excursion to the Perito Moreno Glacier, one of the most famous landmarks in South America and one of Patagonia’s only advancing glaciers. The glacier is 5 kilometres wide, with an average height of 74 metres above the surface of the water of Lake Argentino and a total ice depth of 170 metres. You’ll go first to the glacier’s less frequented north face to marvel at its splendour. You’ll observe and hear giant chunks of ice plummet into the waters of Lake Argentino. Your guide will answer questions about the glacier and the park, and then we’ll continue on to the footbridges and take a break to enjoy the surroundings. You’ll also have the opportunity to do a short nautical safari to observe this magnificent glacier from a closer viewpoint. **For those after something a little more adventurous, we can offer a ‘Big Ice’ excursion where you hike into the core of Perito Moreno Glacier and experience its surreal beauty. Let us know if you’d like more details on this excursion. Enjoy the morning at your leisure before we transfer you to the airport or bus station for your departure. In our opinion, three days isn’t enough to properly experience this area. If you have more time, why not consider adding another night or two to further explore the surrounding area? 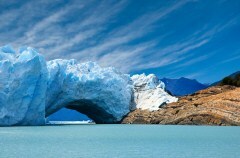 Other options include tours into the Los Glaciares National Park close to El Chalten or into the Balconies of Calafate. 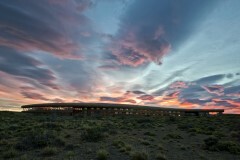 Tierra Patagonia features 3 suites, 34 superior rooms (10 of which can be interconnected to make family apartments) and 3 standard rooms. All rooms at this luxurious hotel have beautiful views across Lake Sarmiento to the peaks of Torres del Paine National Park. The rooms are decorated with authentic Patagonian details and styled to capture the warmth and coziness of being indoors in this wild faraway place. Hotel rates are based on lead-in rooms. Other room types and hotels are available. Rates are subject to change and different rates may apply during holiday seasons and special events. Lead in prices are based on the shoulder season whereas during peak season from November to March surcharges apply. 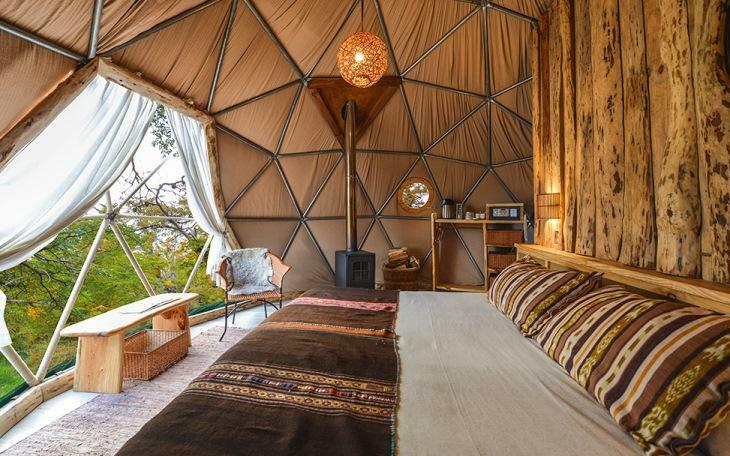 Standard domes at the Eco Camp have shared bathroom facilities.